Day 2 -Jun 29 Monday Arrival in Amsterdam, capital of Holland. Amsterdam is known as Venice of the North, because of its lovely canals that criss-cross the city, its impressive architecture and more than 1,500 bridges. Tour of the city takes us to National Monument and Basilica of St Nicholas. Amsterdam canal cruise. Dinner and overnight n Amsterdam. Day 3-June 30 Tuesday After breakfast we leave Amsterdam and travel to Cologne, En route stop at Kevelaer, Germany, the largest Catholic pilgrimage location within north-western Europe. 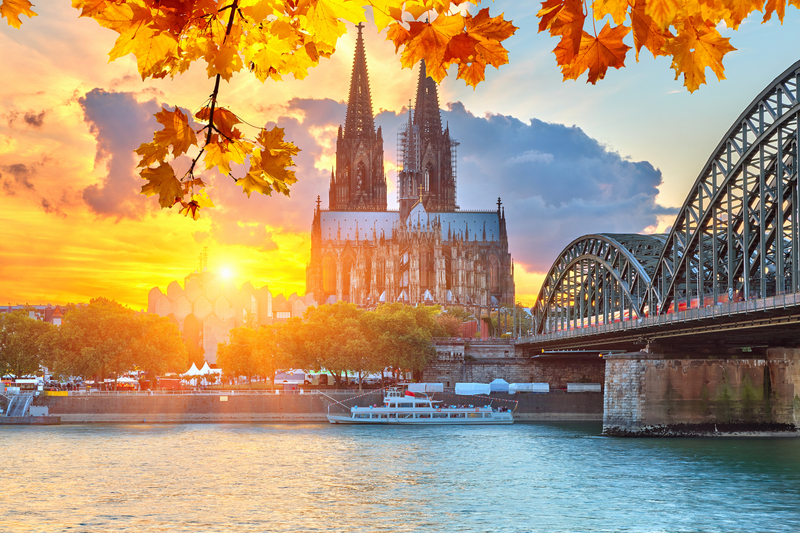 Upon arrival in Cologne, Germany, we tour the city, enriched by some of Europe’s most striking churches, numerous museums, and one of the oldest universities in the world, Cologne is the Rhineland’s cultural heart. 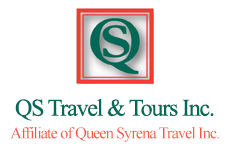 We will visit Cologne Cathedral, Hohenzollern Bridge, Roman Tower and Walls. Mass. Dinner and overnight. Day 4-July 1 Wednesday In the morning, travel to Banneux, Belgium, the most popular pilgrimage destination in Belgium. Virgin Mary appeared here eight times in 1933 to 11 years old Mariette Beco. We enjoy city walking tour and visit to the Shrine of Virgin of Poor. Mass. Evening arrival in Aachen, Germany. Dinner and overnight. Day 5-July 2 Thursday After breakfast, tour of the city of Aachen, Germany. We visit Aachen Cathedral, the oldest Cathedral in Europe. Also, it is the location of the tomb of Charles the Great (Charlemagne). Moreover, the Chapel of Saint Mary contains several relics.Mass. Dinner and overnight. Day 6-July 3 Friday Morning, travel to Trier. Upon arrival, tour the city of Trier, Germany. The Cathedral of Trier was the first major church to be established in what is now Germany, and is the oldest standing cathedral in Europe east of France. 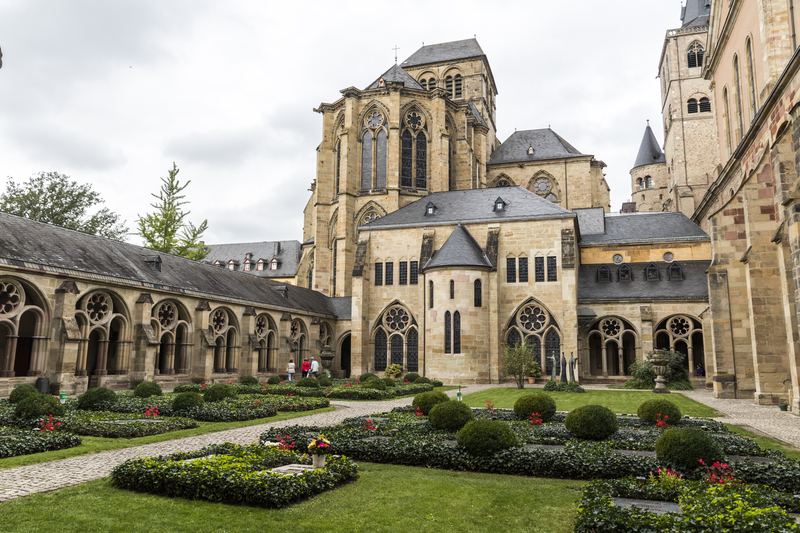 In 1986 the church was listed as a UNESCO World Heritage Site, as part of the Roman Monuments, Cathedral of St. Peter and Church of Our Lady in Trier. Mass. Dinner and overnight. Day 7-July 4 Saturday After breakfast, travel to Walldurn, Germany. The story of Walldurn is not necessarily unique concerning Eucharistic Miracles. It seems that from time to time Our Lord manifests himself physically to us just in case we forget the significance of the Eucharist. Such was the case in 1330 while a priest, Fr. Heinrich Otto, was celebrating Mass here in Walldurn. Continue to Stuttgart for dinner and overnight. Day 8-July 5 Sunday After breakfast, transfer to Oberammergau for 2020 Passion Play. Dinner and overnight in Oberammergau. Day 9-July 6 From Oberammergau area, we travel through picturesque Alps to the Principality of Lichteinstein, nestled between Switzerland and Austria, the official residence of the Prince of Lichtenstein. 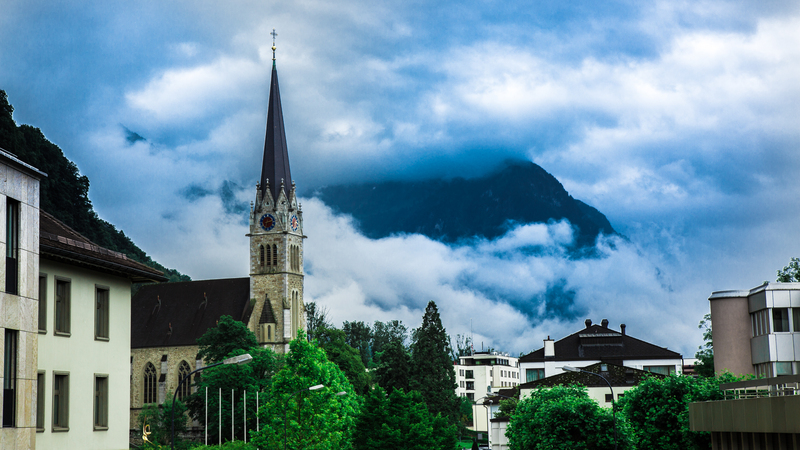 Liechtenstein is mainly mountainous, making it a winter sport destination. We admire Vaduz Castle and visit the Cathedral of St. Florin, built in 1874 on the site of earlier medieval foundations. Mass. Continue via Switzerland to Milan (Italy) for dinner and overnight. Day 10-July 7 Full day in Milan. Sightseeing panoramic tour of Milan takes us to the “La Scala” Opera House, Dominican convent Santa Maria delle Grazie and Basilica Sant’Ambrogio one of the Milan’s oldest churches. 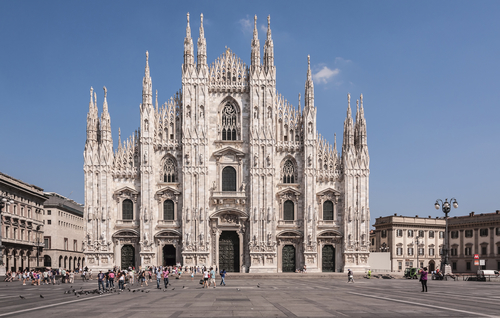 Guided tour of the Duomo, one of the biggest and grandest Gothic cathedrals in the world. Mass. Dinner and overnight in Milan. 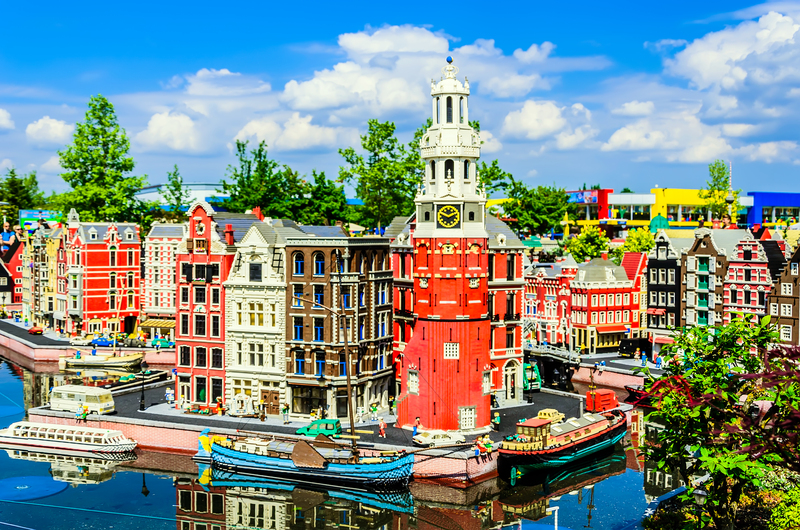 Amsterdam, beautiful landscaped town built from Lego blocks. 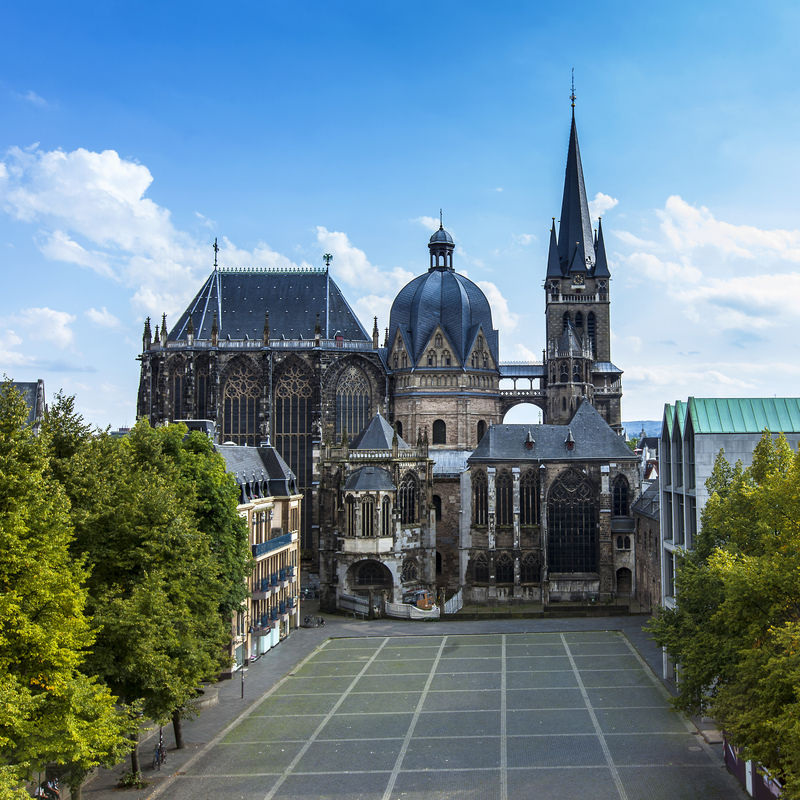 In 1978, the Aachen Cathedral was one of the first 12 items to be listed on the UNESCO list of world heritage sites.